An incomparable anime epic from the original creator of Fullmetal Alchemist, Hiromu Arakawa, The Heroic Legend of Arslan brings political intrigue, thrilling action, and a colorful cast of characters together for a grand adventure filled with treachery and triumph. Pars Era, the year 320—war is on the horizon. As the soldiers of Pars prepare for battle, a traitor within their ranks turns the tides in favor of the enemy kingdom, Lusitania. Arslan, the young Prince of Pars, survives the massacre to discover that his father has gone missing and his life is in grave danger. 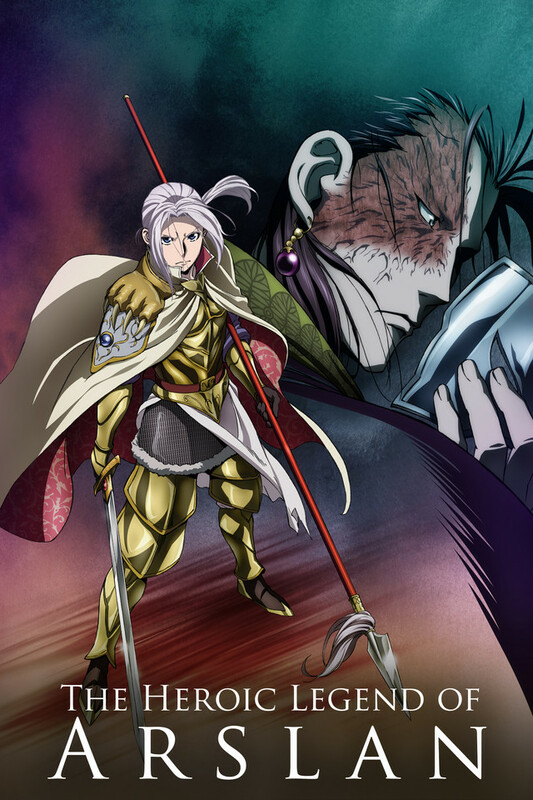 Unsure who to trust, Arslan escapes the battlefield, evading capture until he’s found by his loyal friend Daryun, the formidable Black Knight of Pars. With nothing but Arslan’s title and Daryun’s skill, the pair set off on a journey to return the Prince to his rightful place on the throne of Pars.